Welcome to FastCourts. 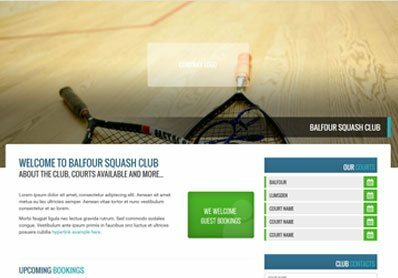 We are a growing global community of sports clubs who are ambitious to make booking courts and slots as painless as possible. We are also committed to making communication between members and clubs simple and straightforward. 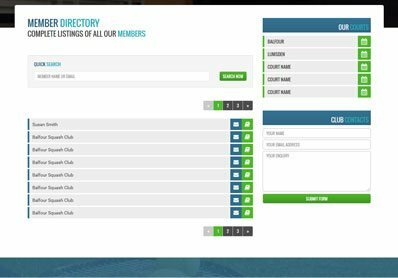 The FastCourts booking platform is a powerful booking system that lets club Administrators manage all aspects of their club’s facilities and bookings whilst making it really easy for members to book time slots. We would be delighted to have your club join our global community. Why not try our fully functioning, free (no credit card needed) 60 day trial to see what you think. We're here for you, your club and your members. Cloud-based so you can access from anywhere, anytime using any Internet-enabled device including laptops, mobiles or tablets. Works on PCs, Macs, Android and iOS. Members are always up-to-date with the latest booking and news within your club. All packages include free telephone and email support, plus web chat advice available 9am to 5pm, Monday to Friday. Simple, easy-to-use online software means that Administrators and Members can be up and running within a few minutes. Forgotten your password? Not a problem. You can reset your password by entering the email address registered with your account below. We'll send you an email with instructions on resetting your password to enable you to log back in. Signing up to FASTcourts is quick and easy. Once you have signed up on behalf of your club or sports centre you will quickly be able to set up any mix of courts, equipment, pitches or any other bookable feature of your club. Creating your member list is fast and simple and you can choose whether members can book directly or whether they must come through a central booking point (such as a reception). Sign up now and see why FASTcourts is revolutionising the way sports clubs and sports centres manage all of their bookings. Thank you for your interest in FastCourts. There are several ways of getting in touch. Having issues using our services? No problem - first off, it's worth seeing if your issue has been addressed in our FAQs where the most frequently encountered issues and their resolutions can be found.